bound between 82nd and 105th street on fifth avenue, museum mile is home to one of the densest displays of culture in the world. the mile, which is actually three blocks longer than a mile, comprises eight of the city’s most coveted museums. 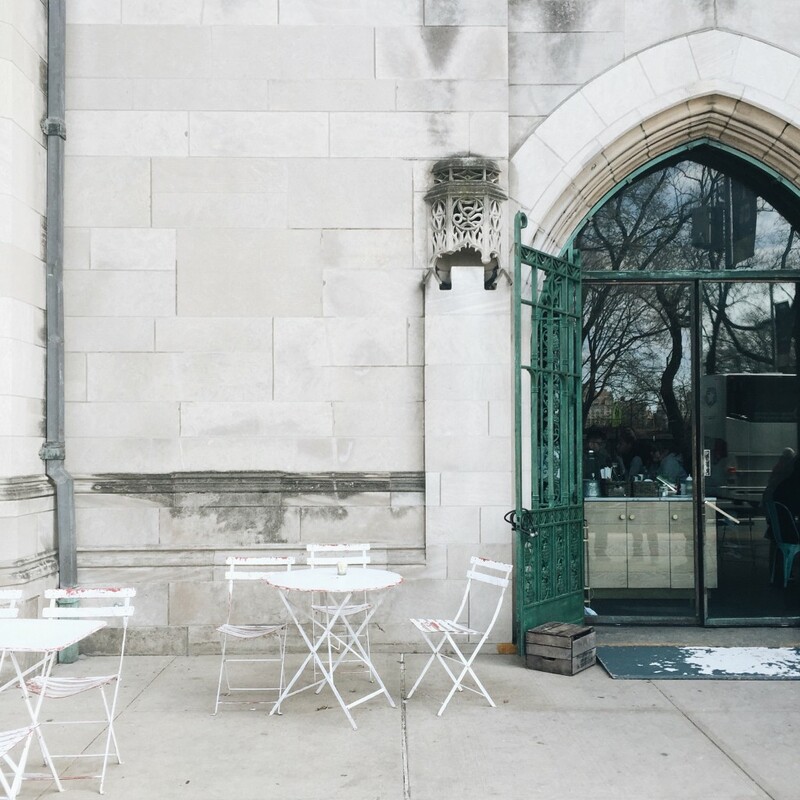 a visit to the mile is an opportunity to immerse yourself in the arts, and a chance to experience the upper east side’s most beloved coffee, cafes, and sights. with so many wonderful things to do and see along the mile, i thought i would share my favorite scenic route – which includes both hidden gems and must-see tourist sights. filled with coffee, food and art, this guide will keep you busy for an entire day! start your morning with a cup of joe. 96th and lexington is where this guide kicks off (the 6 train will drop you off here). i recommend you start your day around 9 – 10 am, so that you’ve got enough time to spend at each destination. after you’ve popped out of the subway station, start heading west towards madison avenue. on madison and 96th, there are two places i love to frequent for a cup of joe and morning treat: de capo and le pain quotidien. de capo: on madison in-between 96 & 97th, this classic italian shop serves up an authentic shot of espresso and some indulgent treats. le pain quotidien: located on the north-east corner of 97th & madison, le pain offers a full and self service french countryside experience. if you’re in the mood for simple, delicious and healthy food this place is perfect. after you’ve fueled up, keep walking west until you dead end at central park. the entrance at 97th and fifth ave will lead you right into the park’s east meadow. 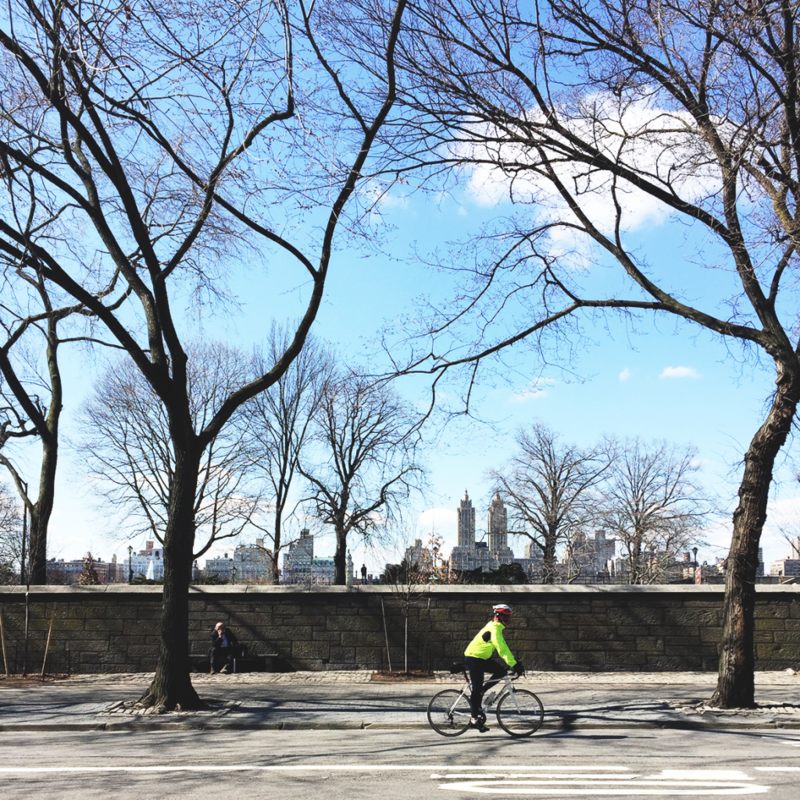 being farther north, you’ll find a much more serene central park – think less vendor carts and more nature. start heading north while you’re in the park and make sure to stay close to the eastside. the entrance to the grand conservatory garden borders the east side of the park on 105th & fifth, and if you walk too far west you’ll find yourself in the midst of the baseball fields. now, you could enter the garden through the park entrance, or you could walk out onto fifth and make use of its magnificent main entrance, vanderbilt gate, which is between 104th and 105th street. the grandeur of the main gate will render you speechless. the iron gate, made in paris in 1894, originally stood in front of vanderbilt mansion on fifth avenue and 58th street. it’s all kinds of old world nyc vibes. 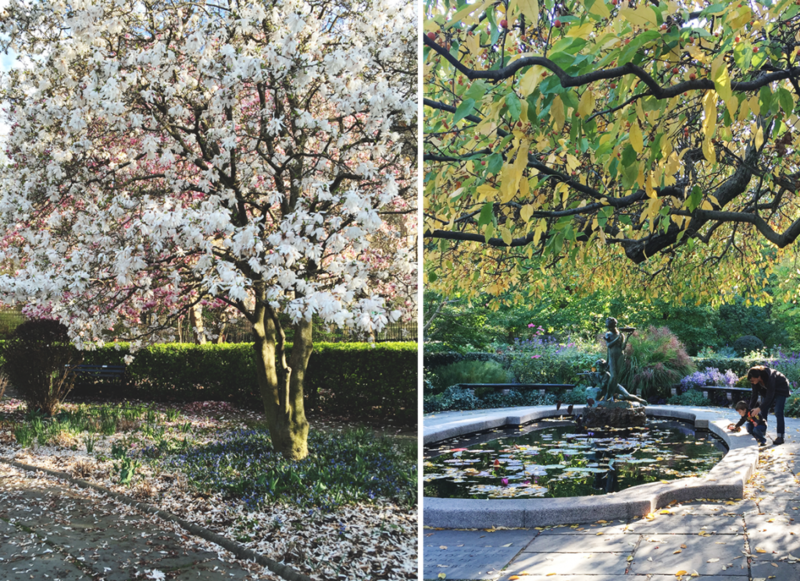 spread across six acres, the conservatory garden is central park’s only formal garden, and it’s divided into three smaller gardens each with a distinct style: italian, french and english. step through the garden’s main entrance and you’ll feel like you’ve stumbled into the secret garden (think mary lennox). this italian inspired garden’s massive lawn, 12 foot high fountain, and perfectly trimmed hedges will literally take your breathe away. walk to the north-side of the garden and you’ll find its french influenced floral and sculptural elements. depending on the time of year you visit, you may find spring tulips or korean chrysanthemums in the fall. to the south, you’ll find an intimately set english-style garden. with five mixed borders of trees, shrubs and perennial plants, you will find some of the most serene privacy available within central park. icing on the cake- a sculpture that pays homage to the book ‘the secret garden’. 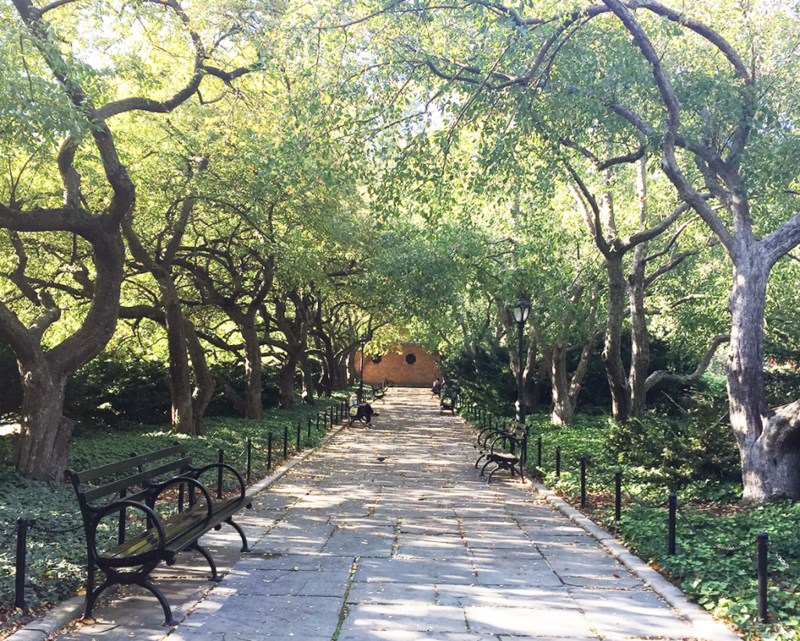 designated an official quiet zone, the conservatory garden is the perfect place to relax and reflect. my favorite time of year to visit the park is of course, the spring. it truly is a sight to be seen. being able to find a place that makes you feel as if you’re in the countryside, in the middle of the most bustling city, is part of that only in new york city magic. with some of the most breathtaking views of the park and surrounding cityscapes, visiting the jackie kennedy onassis reservoir is an absolute must. if you’re a runner, wear your sneakers and run the 1.58 mile-track, or if you’re in it for the views you can take some spectacular photos at its main entrance on 90th and fifth avenue. additional stop: if you can fit it into your day, the cooper design museum in-between 91 and 90th on fifth avenue is a beautiful museum. they’ve also got a lovely cafe inside where you can pick up a latte and a panini. after all that walking you’re probably pretty hungry, and bluestone lane is the perfect spot to satisfy all your senses. located in-between 90th and 89th on fifth avenue, it’s situated within a beautiful dome of the church of the heavenly rest. feast on the fare and some of the most impeccable decor on the upper east side. seriously, the design of the shop is phenomenal. i recommend ordering a flat white and their famous avocado smash. you might be thinking okay, it’s just avocado toast i’ll pass, but i promise you it is the best in the city. side note: i’m not the only one that thinks so – see here. if you’d like a non-caffeine option my best friend, who is a hot chocolate connoisseur, thinks their cup is rich perfection. it’s the perfect light brunch to take in before you make your way through the heavy hitters – the famed museums. other coffee & cafe options: russ & daughters (inside the jewish museum), dean & deluca, via quadronno, eli’s essentials and café sabarsky. now that you’ve fueled up for the rest of the afternoon it’s time to visit the famed frank lloyd wright designed guggenheim museum. deemed one of the 20th-century’s greatest works of architecture, this building has become as famous as the art it was designed to display. if you’re a fan of modern and contemporary art, you’ll certainly enjoy the artwork and architecture the guggenheim has to offer. walking up and down the museums circular walkway is in itself an experience unlike other; it also makes for the perfect instagram shot. 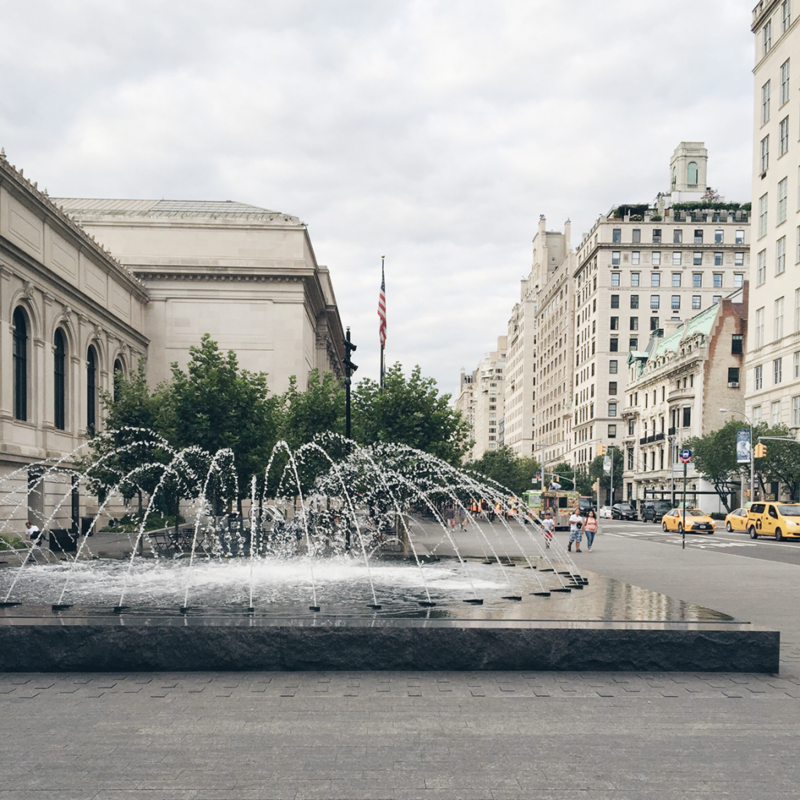 after you’ve spent an hour or two at the guggenheim, start making your way down fifth to the metropolitan museum of art. i’m 99% sure you’ll stop in your tracks the minute you spot it in the horizon. its monumental size, unforgettable façade, and striking steps make it one of the most recognizable landmarks in the city. note: you will need to budget a few hours for the met. as one of the world’s largest and finest art museums, its collection spans across two million square feet, it contains over two million works, and is divided amongst seventeen curatorial departments. yes, you read that correctly – two million! depending on your taste in art your must-see list may differ from mine. but, if you love to feel completely immersed in what you’re experiencing, i have a feeling you’ll enjoy my go-to sections of the museum. the temple of dendur | the sackler wing of the museum is home to the actual temple of dendur which dates back to 10 b.c. the temple is displayed within what is arguably the most beautiful area of the museum. with floor to ceiling glass windows that overlook central park, you’ll feel as if you’ve been transported to the realms of your childhood imagination. roman sculpture court | the leon levy and shelby white court is home to an opulent collection of sculptures created under roman patronage. set within a skylit dome, you’ll feel as if you’ve been transported in time to a grand court of the roman era. come on a sunny day and be prepared to take in some of the loveliest light. if it were socially acceptable, and the security guards would allow it, i would lay down in the middle of the court and just stare up at the sky. the charles englehard court | as you can probably tell i’m a big fan of museum settings that incorporate natural light and vast open spaces, and the american wing of the met delivers on this type ambiance. filled with a collection of american monumental sculpture, architectural elements and stained glass, the charles englehard court provides a mesmerizing entrance to the american wing. 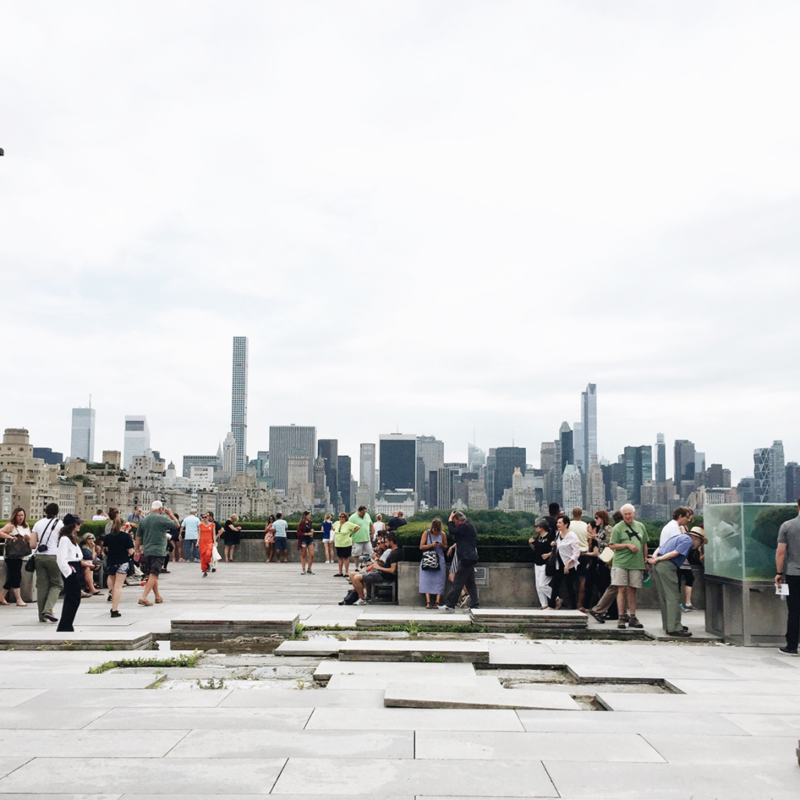 oh, and one last suggestion – don’t forget to head up to the met’s rooftop! it’s open from may – october. museum mile is one of the most satisfying escapes in the city and with so much to see, you should dedicate full day to exploring all the sights. whether you’re a local or a tourist, immersing yourself in the lost art of museums, nature, and cafes along this stretch of manhattan is like nothing else in this city.